Last Chance is about Edgar Malefact, a career criminal looking at serious time for attempted murder, who gets an unusually harsh punishment in the form of lady justice while facing a judge of the Superior Court. Inside the Locker 13 world, there are more things to fear than just life and death itself. Stories From Locker 13 would be described as short stories in the line of the old dime store Pulp Fiction and Film Noir of the 40’s and 50’s. A THRILLER in the classic style, done with a modern flair. 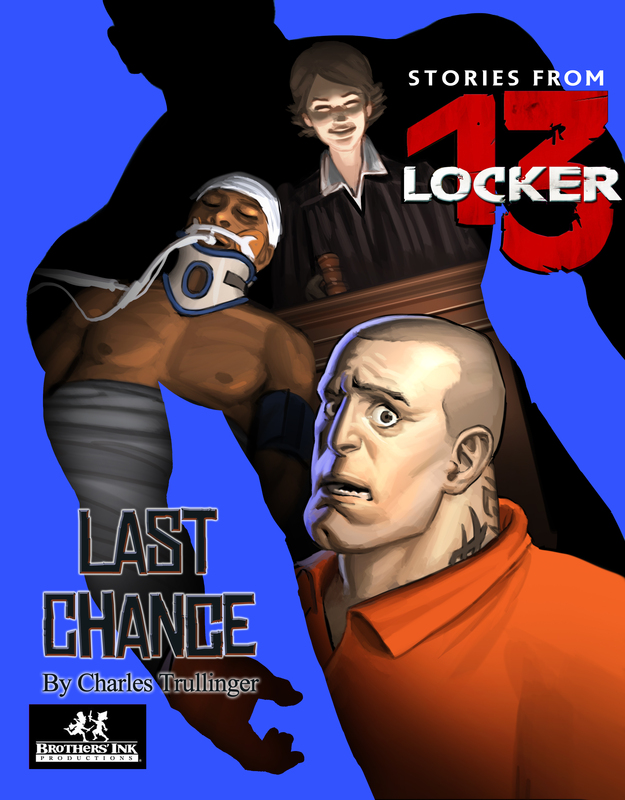 Locker 13 is a THRILLER ANTHOLOGY created by Brothers’ Ink Productions. The motion picture was released in 2014 and features Ricky Schroder, Jon Polito, Rick Hoffman, Bart Johnson, Curtis Armstrong, David Huddleston, Krista Allen and Carmen Perez. Look for our other Stories From Locker 13, Capacity To Kill and The Photo as well as the Graphic Novel, Down and Out.